Select this Wedding Set for a Vintage Feel and a "Big Look". 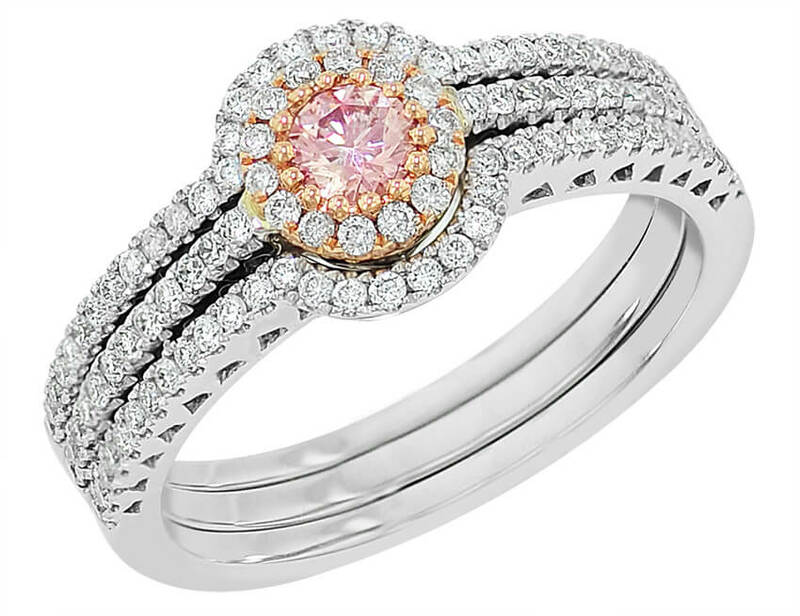 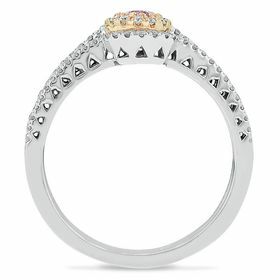 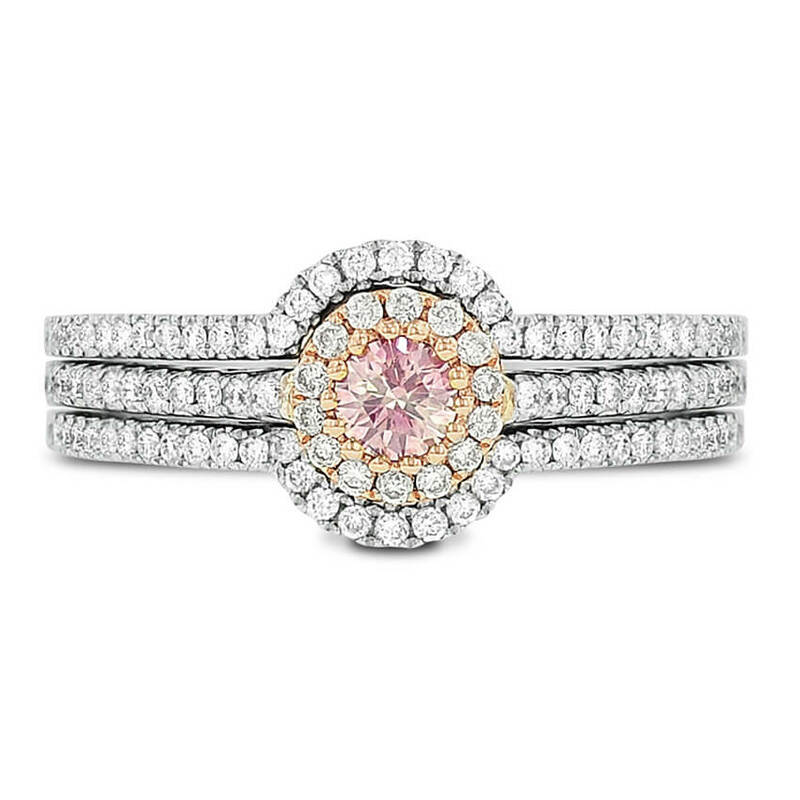 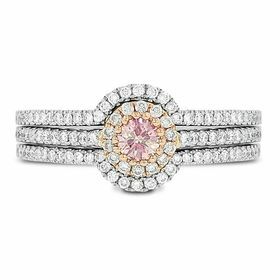 This very special 14kt white gold Ring, with pink gold accent prongs, features a stunning 0.22 Ct Vivid Round Pink Created Diamond that is cradled between two Perfectly Embellished Matching Diamond Bands. 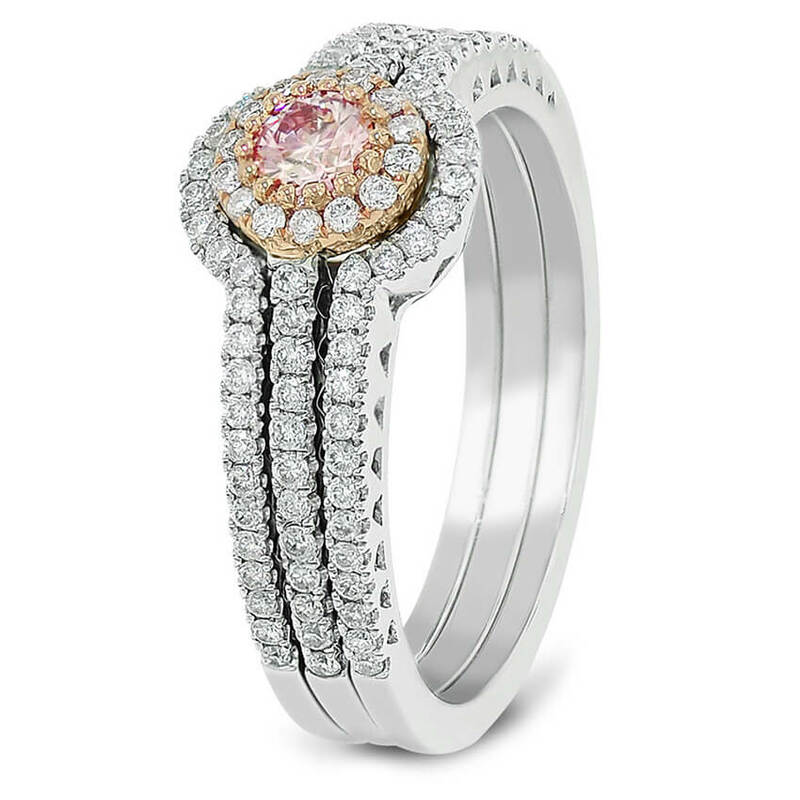 Each item is accompanied by a grading report and a certificate of Eco-Friendly Origin.